Get Go See Campus' advice on what you can do this month to make the most of your college search! To get started, choose your high school class and the current month. You can also select "Calendar Summary" for a complete overview. Know more about different types of colleges: public / private, small / large, urban / suburban, and other factors. Have a feel for the qualities you might want in a college. Create a preliminary list of campuses to visit. Plan a schedule of high school courses that will prepare you for college. Develop a way to help pay for college costs. In addition, if you are an athlete and want to play in college, take the time to learn about the recruiting process and rules. These steps require a lot of work, but beginning now will get you ready for the future and make your senior year much more enjoyable. Schedule a meeting with your high school counselor to learn about helpful resources for the college search. Review the recruiting process for high school athletes (optional). September is back-to-school for many juniors, and you may have the opportunity to choose your courses for the upcoming year. Remember to enroll in courses that are appropriate to your academic needs and that offer the right level of challenge; this is one more way you can help your applications to colleges. Another important step you might want to take is to prepare for the fall Preliminary SAT / National Merit Scholarship Qualifying Test (PSAT/NMSQT). It's a standardized test that can give you practice for the SAT and may help you be considered for several scholarship programs. Ask your college counselor about classes that can improve your chances at college admission. Register for the fall PSAT/NMSQT. Here are the dates. If you are taking the fall Preliminary SAT/National Merit Scholarship Qualifying Test (PSAT/NMSQT), good luck! If you don't know about the test or you haven't signed up and want to take it, visit the College Board website. October is also a good month to think more about what you want in a college. Getting excited about life after high school can give you the energy you need to take on standardized tests, exams, and whatever else comes your way. Regions or cities where you want to live. Visiting different areas of the country is one way to learn about college options, but you can also talk with friends and relatives who know these regions. The type of campus life and activities that interest you. If you're passionate about sports, drama, or music, you can begin looking for colleges that offer these opportunities. Majors you might want to pursue in college. Consider the classes you like and the activities that interest you most. Talking with your counselor can also help you find academic programs that might be a fit. If you are feeling overwhelmed by the process, that's completely normal! You might want to check out our article, "Campus Tour Time? Four Tips to Help an Uncertain High Schooler Have an Incredible Experience." In it, we share some ways to reduce stress and to have a better experience in the college search. Prepare for and take the PSAT/NMSQT. Use the Go See Campus college search feature to find schools. Whew! Between studying for exams and finishing papers before Thanksgiving break, you have a lot going on! Explore options for paying for college. Talk with your high school counselor or consultant about loans, grants, work-study programs, and scholarships. Consider whether you will use financial aid and what type of package you need. Typically, you can find details on college websites about the financial aid they offer to admitted students. The federal government also provides information through Student Aid on the Web. You don't have to have everything figured out. Just starting with the steps above will help you feel more in control of the admissions process and give you the time you need to select the right college for you. Refine your list of colleges to visit this spring with the Go See Campus College Trip Planner. Explore scholarships, loans, grants, and work-study programs. If you took the October PSAT, you should receive your scores in December along with information on how to interpret the results. Take some time to review these documents; they can be really helpful in preparing for future tests, like the SAT. Your college counselor or educational consultant may be able to guide you in improving on the type of test questions that challenged you the most. 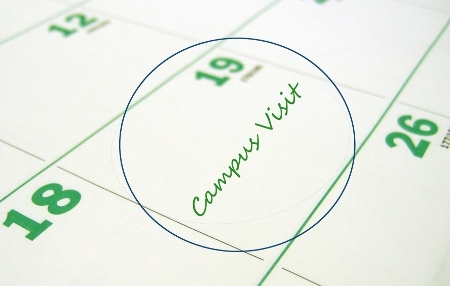 December is also an important month for juniors and their parents to plan campus visits. The spring semester can sneak up on you, and you'll want enough time to organize your trips properly (here are some ideas for what to do on campus.) Take some time to sit down together, discuss different options, and schedule dates for seeing each school. Review your PSAT scores and meet with your counselor or consultant. Plan campus visits for the spring with help from Go See Campus. If January marks the beginning of your college search, get excited for the road ahead! Along with other steps you might be taking, this is an important month to start preparing for standardized tests (if they will be part of your admissions plans.) The College Board website can offer you more information about registration and when tests will be held. This month is also a good time for taking a closer look at the list of colleges you are considering. Review college websites and guidebooks, meet with your college counselor or consultant, and discuss schools with your parents. These steps will help you decide which colleges interest you the most. It's also a great idea to visit campuses over the next few months. Seeing colleges now will give you a sense of what you want from your experience. Using Go See Campus' free tools can help you overcome some of the common challenges of college visits. Start preparing for standardized tests. Refine the list of colleges you are considering. Visit colleges using tools from Go See Campus. This month, consider making an appointment with your high school college counselor to discuss steps you may want to take during the semester and over the summer. You can also talk with family, friends, and teachers about finding college options. They may have ideas about additional universities for you to explore. Over the next few months, you may have the opportunity to visit colleges as part of your search. Planning trips now is important because some colleges require advance registration for tours and information sessions. This means that time slots can get booked early. Also, you can save money by reserving flights and hotels in advance. Remember to check out the College Trip Planner for help with organizing your visits. Meet with college counselor and talk with family / friends about college options. Plan college trips online with Go See Campus. March is a great month to go see campus. Be sure that the colleges you plan to visit are in session and not on spring break. This way, you'll get a chance to talk with current students and get a better sense of campus life. Organize your visits with the College Trip Planner. Review the websites for the colleges you'll be visiting. Prepare some good questions for the admissions staff and students. Potentially, contact student organizations about sitting in on their activities. Traveling with your parents? You may want to share our "College Tips for Parents." It can help you talk through common issues and questions before you hit the road. Continue preparing for standardized tests. This month, consider taking campus visits over spring break. Before you go, research whether the colleges will be holding classes or if they are out on holiday. Seeing a school while students are on campus will give you a more realistic experience. Don't forget to follow-up after your college visits! April is also a good month to look ahead to senior year and to decide which courses you will take. Typically, you should choose classes that challenge you but that still allow you to learn and grow. Your high school counselor may be able to guide you in the process. While you're at it, consider scheduling your SAT or SAT Subject Tests. Early registration can help you avoid late fees. Take a look now at the College Board website for details. Plan campus visits over spring break. Decide which courses to take senior year. Register now for standardized tests. Now that you are a "soon-to-be rising senior," here's how to make the most of May! This is a good month to prep for your college search. You might take part in a college fair to meet the admissions staff. You can also explore new universities you haven't considered before or plan campus visits if you have the time. If you are taking the SAT subject tests or Advanced Placement exams, balance good preparation with plenty of rest. The College Board website can help you with registration and testing details. Finally, think about how your summer can help you in your college search. If you're going to spend a lot of time involved in an extracurricular activity, job, or volunteer opportunity, consider how your experiences will help you respond to college applications. Attend college fairs, review new college options, and plan campus visits. Register and prepare for standardized tests. Think ahead about how to make the most of the summer. As a "rising high school senior" (formerly, junior,) you may have begun visiting colleges as part of your search. Taking university tours over the summer can make it easier to go see campus without having to schedule around high school holidays and classes, so consider hitting the road this month. Don't forget to use Go See Campus' tools, including the College Trip Planner, to organize your itinerary and route your trip. What do I want from my college experience? Which college majors most interest me? What can I do now to make college applications easier later? Are there things I can do this summer to improve my chances at admission? Putting some thought into these questions will make your senior year and your college search more enjoyable. Organize summer campus visits with Go See Campus. Review everything you've learned in researching colleges. Create a list of things to do this summer to help with college admissions. We wish all of our juniors—now "rising high school seniors"—a great summer! Hopefully, you've had a chance to experience colleges in person; for more help with your search, see "Finding a College this Summer: 5 Quick Tips for Juniors." Another way to do research while you're out of school is to use Go See Campus' Advanced Search. Our tool lets you look at profile information for each college. Take some time to explore these details. Then, think about what information makes you interested in learning more. Whether it's the location, the size, or the setting, knowing the qualities that matter most to you will be a big help in the fall. You'll be able to narrow your list of colleges, decide which other schools you'd like to go see, and get even more from campus visits. Visit college campuses over the summer break. Begin to prioritize which qualities matter most to you in a college. As part of certain college applications, admissions offices may ask for written recommendations from those who know you. If you spent time working in a summer job or internship, volunteering, or taking part in an academic program, consider the people who would write these recommendations on your behalf. Be sure to stay in touch with them during the school year, and remember to ask them for recommendations way in advance of the due date. In addition to recommendations, you may want to review ideas for your upcoming college essays. Your academic papers may also offer writing samples you can provide, if they are required for admissions. Each of these steps will help you get ready for the application process. Plan to ask for college recommendations well before they are due. Think about ideas for college admission essays. Review your past work for writing samples. Congratulations! You're officially a senior. You've worked hard to get to this point, and now it's time to make this the best year yet. In addition to staying on top of your studies and your college search, remember to enjoy time with your friends and family. If the ACT, SAT, and SAT Subject Tests fit into your plans, September is a good month to register. The ACT and College Board websites can provide you with details on dates for these tests. Create a list of colleges to which you want to apply. Find deadlines for the colleges' applications, including early decision dates. Get forms for financial aid if you decide to apply for it. Finally, choose some dates to go see campus. Our College Visit Guide can help with the process, and articles in our College Advice section can help you plan campus visits. Prepare for your college applications. Choose dates for college visits. Finalizing the list of colleges to which you will apply. Completing Early Action and Early Decision applications. Finishing college applications with winter deadlines. Confirming that high school transcripts were sent to colleges. Fall of senior year is also an important time to see colleges. Visiting campus can help you decide whether to apply, assist you in admission applications, and get you excited that all of the hard work is worth it. To get ready, check out our articles on travel advice for visiting colleges, compare self-guided tours versus "official" college activities, and learn how campus visits can help in your college applications. Complete college applications and make sure your materials were received. Read some advice on getting the most from campus visits. We know you'll be busy this month with school work, campus visits, and college applications. Remember to take time for yourself. In particular, talk with your friends and family about challenges you may be having, and know that you're not facing them alone. When your applications are complete, remember to create a digital or print backup of your submission. This will help you refer back to what you have sent and, if a college should ask, it will allow you to re-submit materials easily. One last thing: some colleges offer an admissions interview as part of the process. Our site shares a lot of advice to make this a better experience, from preparing for a college interview to making a great impression to learning about the factors that colleges look for in an admissions interview. Finalize the list of colleges you are considering. Complete any remaining applications due soon. Prep for college admissions interviews if they are offered. Congratulations on everything you've accomplished! By now, you may be sending or have already sent applications to your colleges of choice. Typically, applications are due between early January and mid-February, though some are as late as March or are accepted on a rolling basis. Remember to keep copies of the materials you submit to the schools. In addition, it may be a good idea to follow up with colleges to make sure that your application has been received. You may also want to read our article, "Applying to College? Facebook and Twitter May Affect the Decision." Social media can help you connect with college admissions offices, but it's important to think about what your posts say about you as an applicant. If you are applying for financial aid, winter break is a good time to get a head-start on your Free Application for Federal Student Aid (FAFSA) since you may need some help from your parents. The FAFSA is the first step toward getting federal aid for college from the U.S. Department of Education. Typically, you can submit the FAFSA after January 1 along with your college financial aid applications. Follow up with colleges to ensure they received your applications. Review your social media profile and explore options for connecting with colleges. Get started on the FAFSA. If you are considering financial aid for college, submit your Free Application for Federal Student Aid (FAFSA) as soon as you can. Turning in the application early may improve your chances of receiving support. Also, it may take your parents time to collect the required financial data and tax information. Now is also a good time to review the financial aid information for the colleges to which you've applied. Colleges may have different deadlines for applying for aid, so make sure you review each. In addition, you may want to explore scholarship opportunities through the colleges and through other organizations. Every dollar counts! Often, colleges invite students to special Visit Days. These events offer opportunities that you might not have had if you made a trip to the college on your own. Take a look and see if it's time for a campus visit. Review financial aid opportunities from colleges. Go see colleges during campus visit days. Explore college websites for merit and need-based scholarships. Review private scholarships from reputable organizations. Prepare your Free Application for Federal Student Aid (FAFSA) if you are taking out student loans. If you submitted your FAFSA more than four weeks ago and haven't heard about it yet, consider contacting the Federal Student Aid Information Center to make sure your information was received. Oh, and remember: colleges may review your grades and activities through your final semester. Try to keep up the great work! Explore merit- and need-based scholarships from colleges. Check out private scholarships from reputable organizations. This month or next, you may receive decisions from colleges to which you've applied. Go See Campus hopes you find a place at a college that's a great match for your interests. If you are accepted by a school but uncertain whether you want to attend, consider making a college visit (or a second visit if you've already been.) Our article, "Campus Tours after You've Been Accepted," explains the benefits. Connecting with academic programs and student organizations and asking college students questions now will let you compare your options against one another. Know which college you want to attend? It's not too late to look for ways to help with the cost of tuition. Talk with your intended college about financial aid and scholarships, and research reputable private college scholarships as well. Visit or revisit colleges to help make your final decision. Explore financial aid and scholarship options. Similar to last month, campus tours after you've been accepted can help you make the decision if you have been admitted to several universities but you are unsure which you want to attend. Contact the colleges to see whether they host events specifically for accepted students. If you have been wait-listed by a college and still want to be considered, you may want to get in touch to let the college know. The admissions staff may be able to offer advice on improving your application. Also, if you are interested in financial aid but the college isn't offering enough to cover your needs, consider calling the college to discuss your situation. While it is not always possible to get more financial support, it's worth knowing your options. You can use the Go See Campus College Search feature to see if there is a specific admissions representative for your area. Make campus visits after you've been accepted. Follow up with colleges at which you've been waitlisted. Speak with colleges about financial aid concerns. This month, you are likely making your final college choice. Congratulations! We know it's been a long journey, and Go See Campus is glad we could make it with you. You may be waiting to make your decision until you find out about a college's waiting list. Be sure to follow the instructions the college provides so you will remain in consideration. While we wish you the best, it's a good idea to keep a spot at another college you'd want to attend. That way, you can take advantage of the best option available to you this fall. One last step: please let Go See Campus know the results of your hard work so we can congratulate you! Best of luck in your future as a college student! Follow the instructions for colleges at which you have been wait-listed. Maintain a spot at another college you would want to attend. Let Go See Campus know the results of your applications. Use the Go See Campus college search feature to explore colleges. Read Go See Campus' college advice on getting the most from campus visits.